For a satisfying breakfast or sweet meal anytime throughout the day, add Belgian waffles to your menu! Using a waffle mix ensures consistent texture and quality every time. 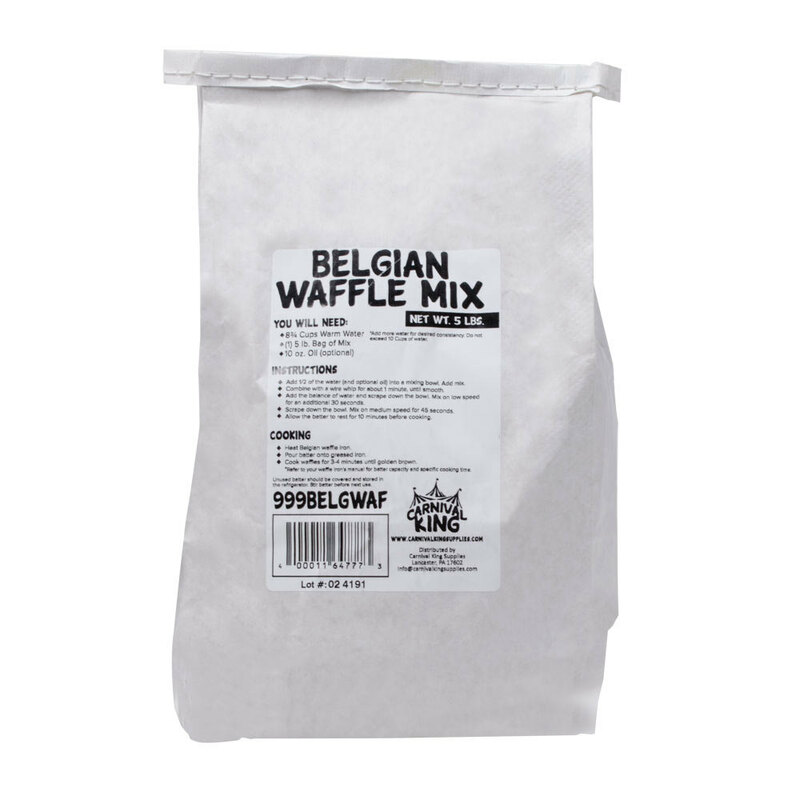 This premium Belgian waffle mix from Carnival King will treat your patrons like royalty with its fantastic flavor and made-from-scratch taste. How do Belgian waffles differ from standard waffles? The answer lies in the batter, as the batter for this Carnival King Belgian waffle mix is leavened with yeast and egg whites for an especially light texture with a golden brown outside. Belgian waffles are great on their own, but they can also be paired with all of the traditional toppings, including syrup, butter, and a light dusting of powdered sugar. Try adding strawberries, whipped cream, or even ice cream and chocolate chips for a sweet twist on a classic breakfast dish. Though it may be time-consuming to prepare batches of waffles from scratch, this Carnival King Belgian waffle mix does half of the work for you! You'll be able to prepare a greater volume of waffles in a shorter amount of time, while satisfying your busy kitchen staff and serving your hungry guests faster. To use, simply mix 10 cups of water with one bag of the 5 lb. waffle mix.